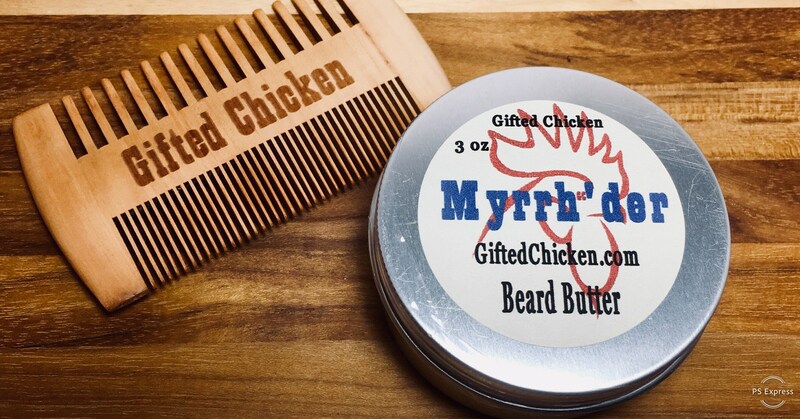 Have an amazing beard, but need it to look as awesome as you are?! Make your beard softer, and keep you looking like a total bad a$$!!! Whatever you do don't cut it down, help it!! We say rule that hen house like a real rooster. 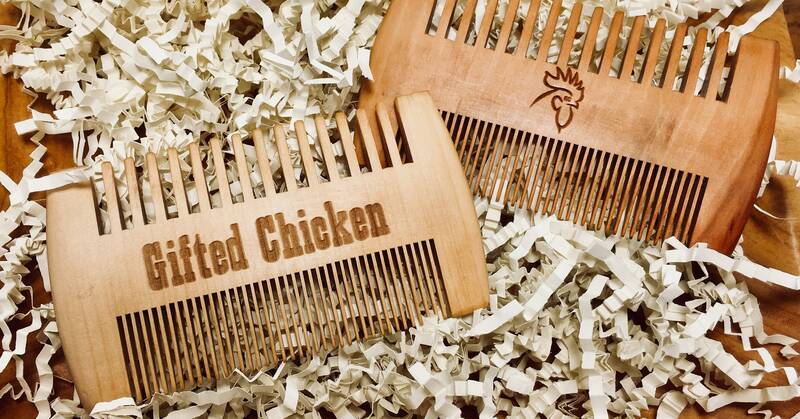 Paired with great comb to maximize the effort! Myrrh'der is pretty self explanatory, but just in case you don't understand, it is Myrrh scented. A slight smokey yet amazing fragrance, using only essential oils for scenting. This listing is for a 3oz tin and a wooden comb. Warning: Use of this product may increase overall attractiveness.